UPP Arts’ 10th and final year of programming brought together our four main stories. These include: the environmental story of Mashapaug Pond and polluted waters; the industrial story of Gorham Silver Manufacturing Company and other industries as economic assets and polluters in Providence; the Indigenous story of the Narragansett tribe, here in Rhode Island; and the socio-economic story of the 1962 displacement of the West Elmwood neighborhood, once located at the current site of the Huntington Industrial Park next to Mashapaug Pond. Our workshops reached students in Providence and Cranston public schools, divided by town lines but all within the Mashapaug Pond watershed. 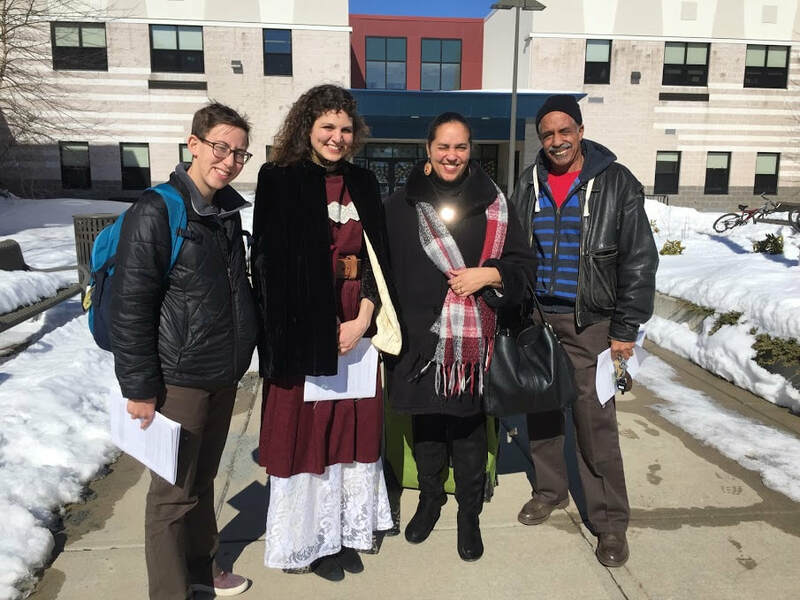 We partnered with Providence public schools for the 10th year and with the 21st Century Cranston Learning Center for the second year in a row. 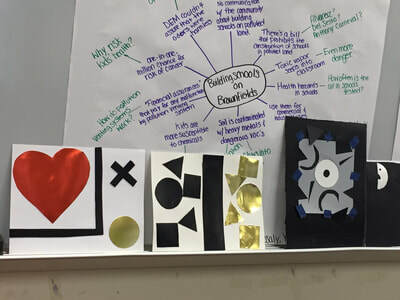 Students at Central and Alvarez created interpretative signs for Mashapaug Park, the new park planned for the former Gorham Silver Manufacturing Company site on Mashapaug Pond, with the guidance of graphic designer and teaching artist Anna Snyder. 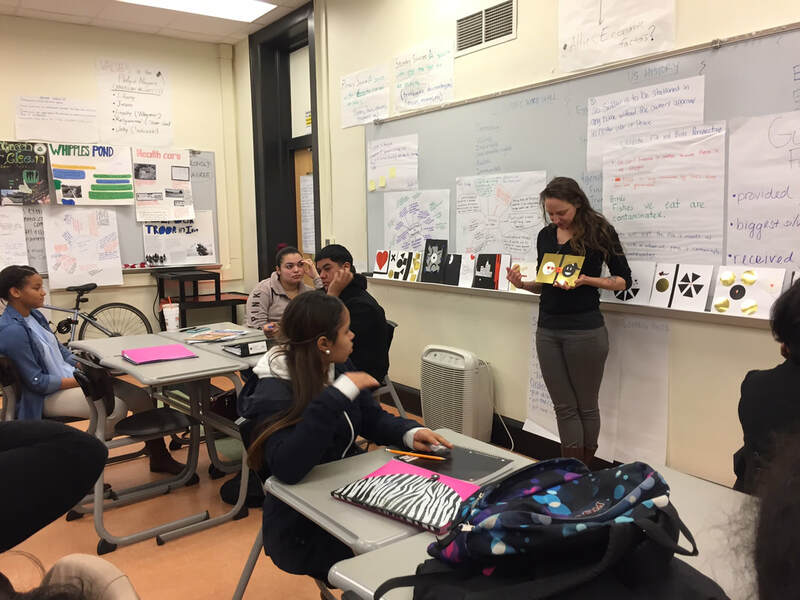 At Alvarez, the 11th grade team of teachers in science, math, english and social studies were given resources to develop a unit on Mashapaug Pond to prepare their 60 students for the sign project. 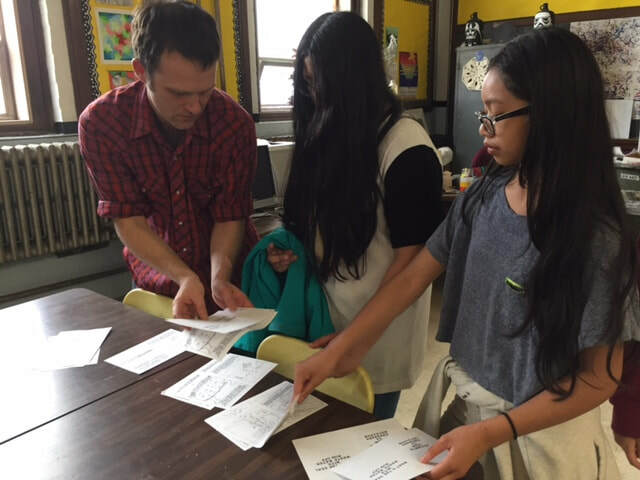 At Central, Snyder worked with a group of 15 students in Jennifer Geller’s sociology class. 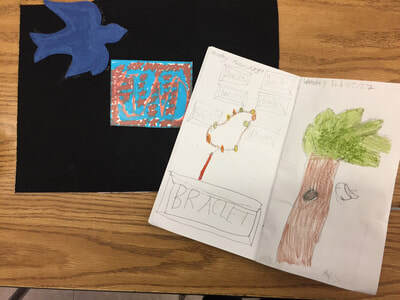 Students at both schools learned the language of graphic design by first responding to decorative doorways Snyder created that represented different emotions, followed by studying How Pictures Work by Molly Bang. 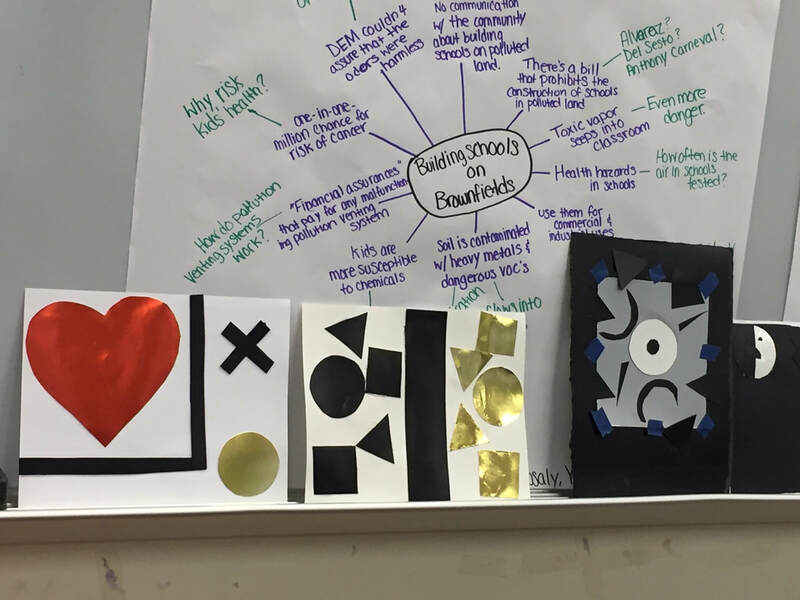 The students then took design into their own hands by creating color and shape collages to communicate emotions. With this groundwork, groups of students selected one of UPP Arts’ four main stories and created the design for a 24” X 36” sign. Snyder led full class critiques where students respectfully discussed ideas to change images, text, layout, colors, and fonts to make their work most effective at communicating the main points. In total, 10 interpretive signs were created and displayed during the Procession. The Providence Parks department is currently developing a new park on the former Gorham site and looks forward to adding these signs to the park design. 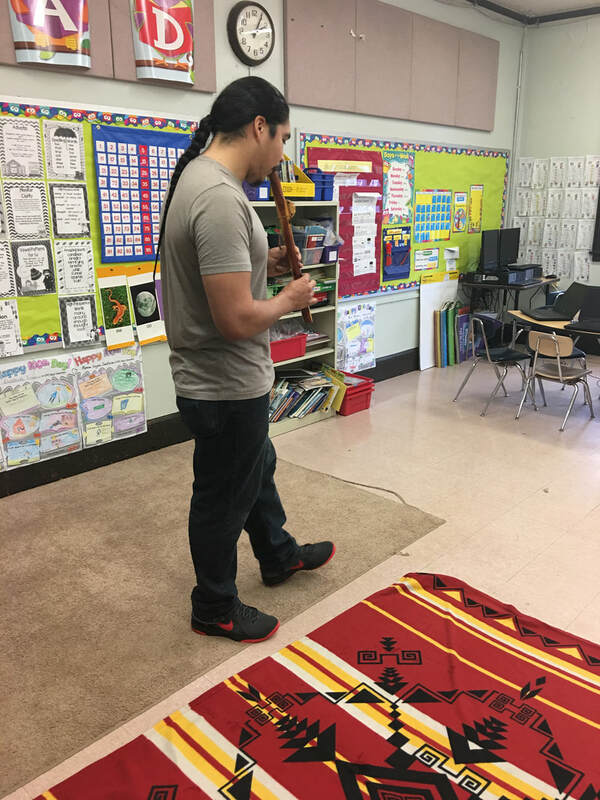 Narragansett teaching artist and educator Wanda Hopkins introduced elementary school students to Indigenous culture and the ways in which humans connect with each other, the community and the environment. 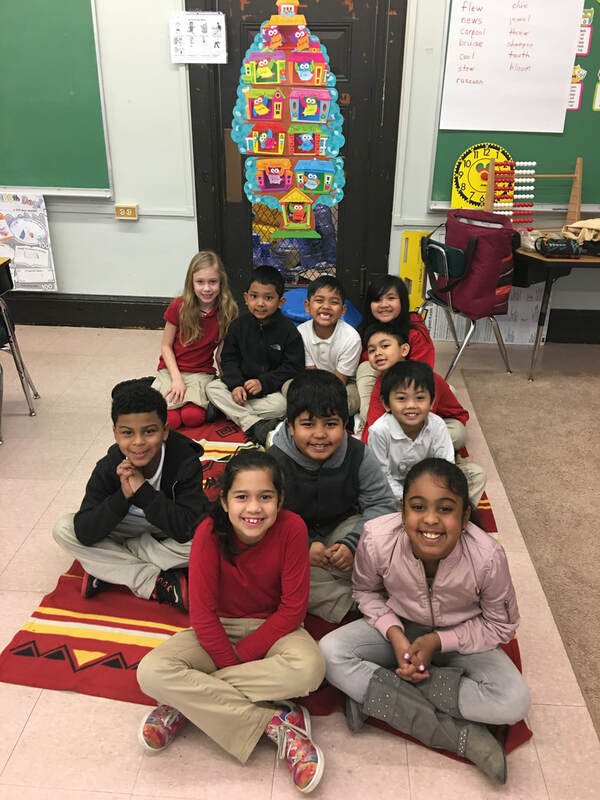 Hopkins worked with 26 second grade students at Reservoir Avenue Elementary School and 12 students in the 21st Century Cranston Learning Center afterschool program at Gladstone Elementary. Through storytelling and journaling, students learned that everything they do can either hurt or heal the world around them and can either be good or bad medicine. Each student also personalized and decorated their own medicine wheels to communicate the importance of self balance for personal wellness and to be good environmental stewards. 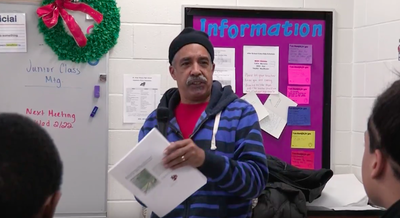 Students learned that ecosystems, like themselves, need to be balanced to offer gifts to humans and other life forms and planted seeds to grow their own vegetable or flowering plants at home. Toxins enter Mashapaug Pond faster than the rate at which plants can filter them, so the pond needs good medicine from the surrounding community to be balanced again. Graphic designer and teaching artist Walker Mettling introduced ten 7th and 8th grade students in the 21st Century Cranston Learning Center’s afterschool program to environmental stewardship through comic books. 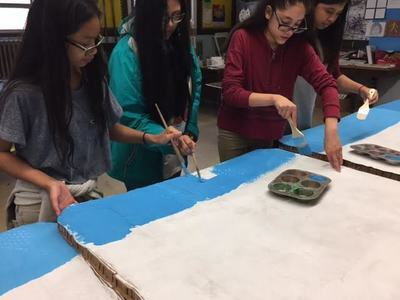 The students collaborated to create a sequence of comic book-inspired paintings of industrial landscape and waste changing into a clean and healthy habitat after clean up. 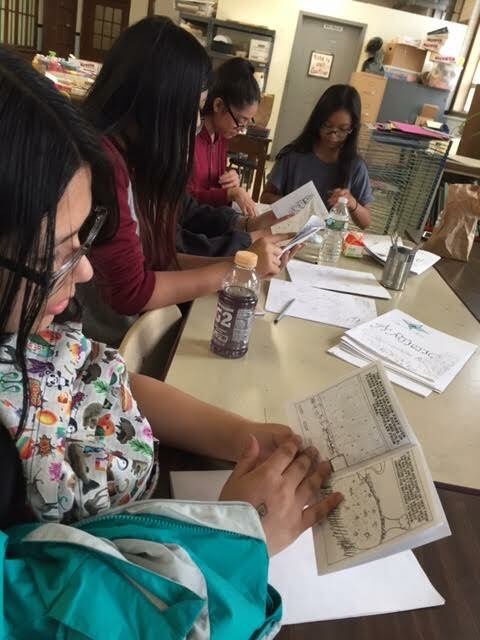 Students also collaborated to create a smaller comic book with two stories What’s the Deal With Waste Water Run Off? and Whatever Happened to West Elmwood? 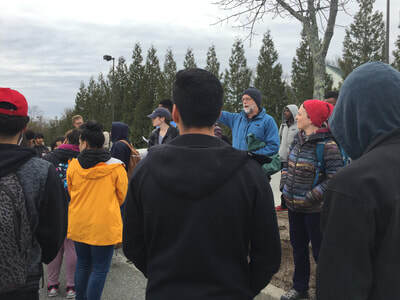 Mettling and his students drew on UPP oral history archives, local community histories and data on stormwater runoff to understand the evolution of the land at Huntington Business Park and how stormwater runoff affects waterways near large, impervious surfaces. The segmented painting was displayed at the Procession and participants picked up copies of the comic book to take home.